We run the Krav Maga Challenge several times each year, Typically January, March and September. 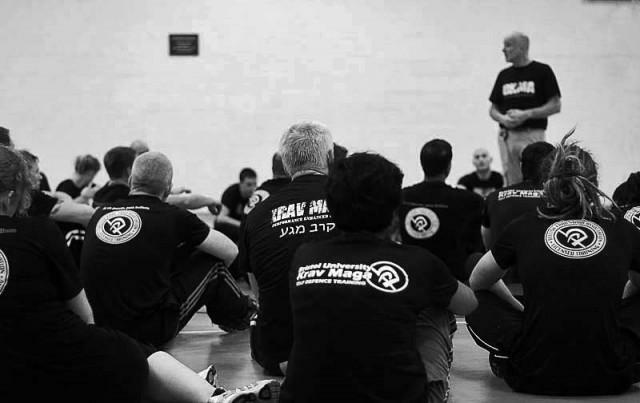 The Krav Maga Challenge offers a gruelling 16 week programme of intense physical and mental training culminating in challenge day a 4 hr test of physical and mental endurance where pratitioners will be challenged over all the skills acquired over the preceding 16 weeks. You’ll with train fellow recruits for 2 hours, twice a week working with a skilled coach in preparation for you challenge day. In addition you’ll get a subsidiary training programme to compliment your coached sessions and nutrition guide built around the very same programmes used by professional athletes and fighters to optimise physical performance. Train like a professional fighter in preparation for an undisclosed combat fitness test on your Challenge Day event. On passing out you’d have covered cover 32 combat conditioning sessions based around conditioning used by the world’s elite including professional fighters and Olympians. No two training sessions are the same, and the results are outstanding. Why sign up for another barely used gym membership when you can participate in a high level coaching programme delivering elite level fitness, proven close quarter combat skills and an unprecedented mental toughness training programme.